Posted December 16, 2014, in Featured News, News. 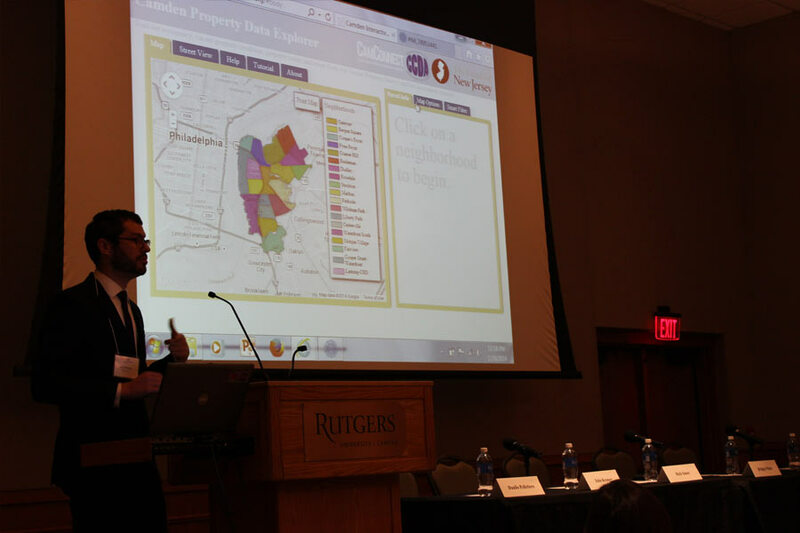 On Monday, December 8th, the Center for Urban Research and Education (CURE) in partnership with CamConnect, the Camden Community Development Association, and the Federal Reserve Bank of Philadelphia’s Community Development Studies and Education Department, hosted the “Camden Citywide Housing Vacancy Data Release” event. 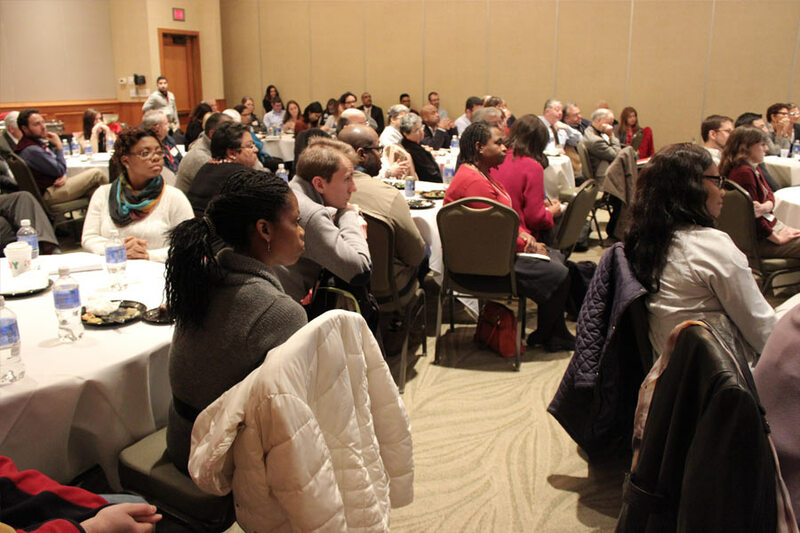 The vacancy data released at this event were gathered through a property survey conducted by CamConnect and the Camden Community Development Association with funding support by the Fund for New Jersey. 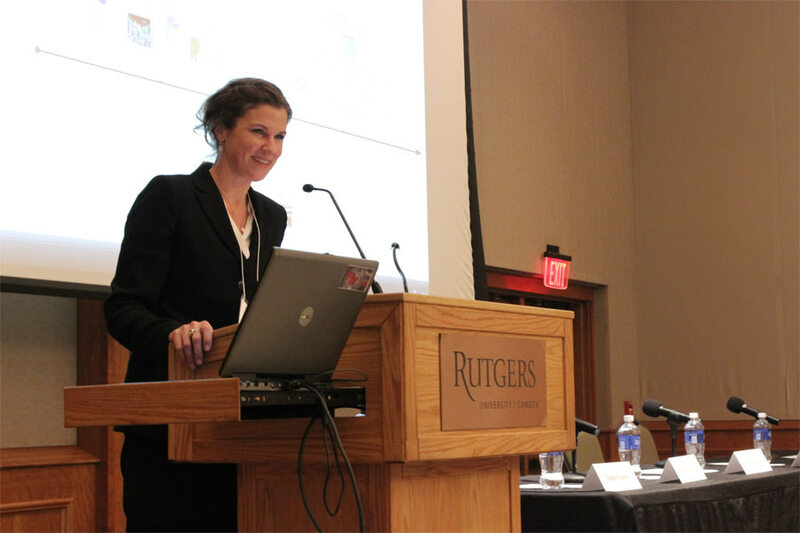 Dr. Natasha Tursi, Associate Director at C.U.R.E. welcomes the audience. Josh Wheeling, Program Manager at CamConnect presents the report. Josh Wheeling, Program Manager at CamConnect demonstrates the interactive map. Expert panelists discuss the Data Release and take questions from the audience. Audience Q&A session with the expert panelists. 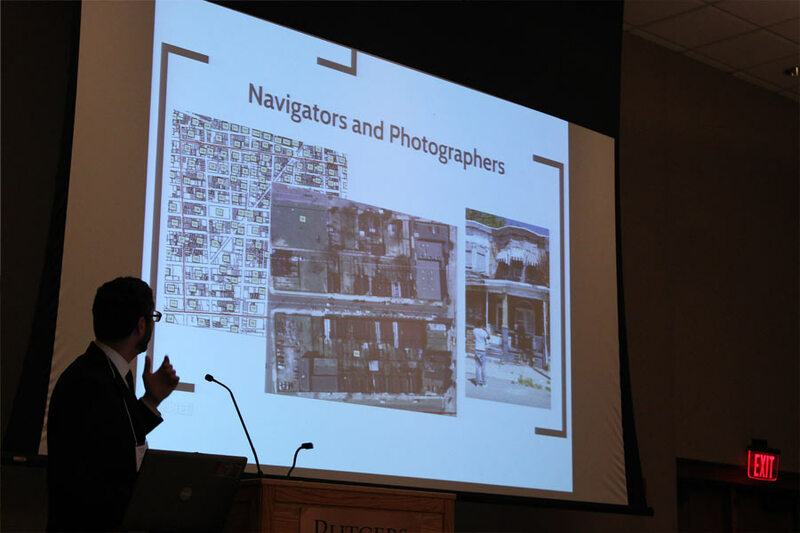 During the event, Josh Wheeling, Program Manager for CamConnect, gave an overview of the survey results for abandoned properties and a demonstration of the mapping application for GIS spatial analysis. The results, which took two years to gather, cite that 14.9 percent of Camden’s 22,906 buildings are abandoned. 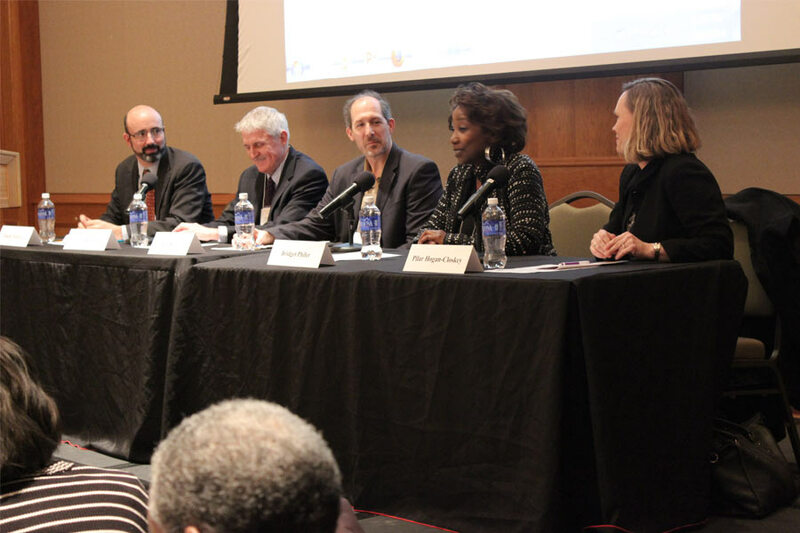 Following the presentation, a panel of five local experts discussed the current status and future of abandoned properties in Camden. Among the discussants were Pilar Hogan Closkey of the St. Joseph’s Carpenter Society, John Kromer of the University of Pennsylvania’s Fels Institute of Government, Danilo Pelletiere, of the US Department of Housing and Urban Development, Bridget Phifer of the Parkside Business and Community in Partnership, and Rick Sauer of the Philadelphia Association of Community Development Corporations. Page last updated by Faculty of Arts and Sciences at 10:51 am September 18, 2017 . This page was printed from http://fas.camden.rutgers.edu/2014/12/16/cure-hosts-camden-citywide-housing-vacancy-data-release-event/ at 9:21 AM Friday, April 26, 2019.